BOOK FEST AT THE LIBRARY! Home » BOOK FEST AT THE LIBRARY! Enjoy breakfast treats with local author Daisy Rolland as she reads her picture book How to Enjoy Sweetland: Your Essential Guide to Sweets. All ages welcome. 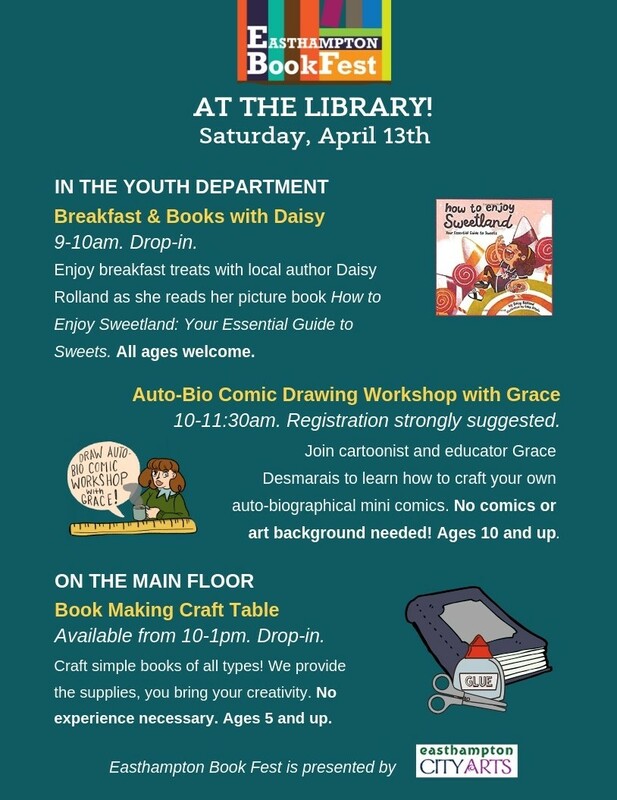 Join cartoonist and educator Grace Desmarais to learn how to craft your own auto-biographical mini comics. No comics or art background needed! Ages 10 and up. Craft simple books of all types! We provide the supplies, you bring your creativity. No experience necessary. Ages 5 and up.